Leaders of Agudat Yisrael faction of UTJ say outline being formulated to solve crisis inconsistent with position of Council of Torah Sages. Is the draft crisis deteriorating to elections? 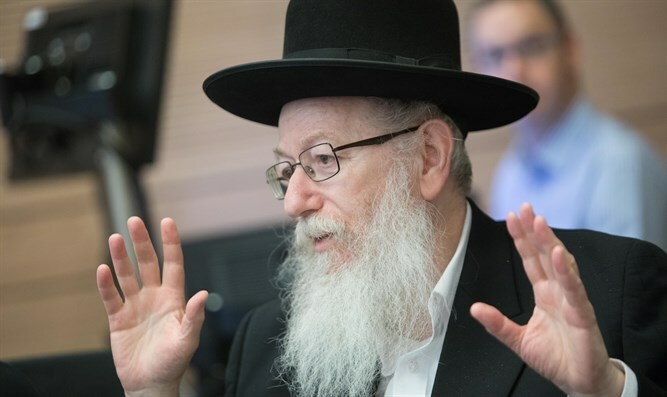 The newspapers Hamodia and Hamevaser, which represent the position of the Hasidic Agudat Yisrael, criticized this morning the outline being formulated for the new draft law. The newspapers, subordinate to the Agudat Yisrael Council of Torah Sages, claimed that the outline was inconsistent with the position of the Council.. In Hamodia, which mainly represents Gur Hasidism and Deputy Minister Yaakov Litzman, the Deputy Minister of Health was quoted as saying that "unfortunately, no new proposal was submitted which can regulate the status of the yeshiva students," and asserted that such a proposal would not be submitted to the Council of Torah Sages for consideration. "In light of the alleged reports that Likud submitted to United Torah Judaism and Shas representatives a new version to the draft law amendment, the deputy health minister clarified last night that, unfortunately, there is nothing new in the proposals that are on the agenda and that there is no new proposal that can regulate the status of yeshiva students in accordance with the instructions of the Council of Torah Sages,” it was written. The newspaper Hamevaser also claimed that the demand of Prime Minister Netanyahu and Finance Minister Kahlon to promote an outline agreed upon by Attorney General Avichai Mandelblit raises the fear of difficulty in reaching an outline that meets the demands of the haredi representatives, who seek to regulate in a worthy and secure manner the status of yeshiva students. "Moreover, it is possible that after the law is approved in second and third reading, Defense Minister Liberman will resign from the coalition, which puts into question the entire status of yeshiva students, and therefore the prime minister wants to ensure that Liberman does not resign during the term." They also complained that the plan had not been presented to the faction. "These doubts and concerns are further expressed by the simple fact that for the time being the outline has not yet been presented to UTJ representatives, which raises many questions about whether this plan can be in line with the position of the Council of Torah Sages."